Bruno Mars has given up yanking his piano around the city in order to impress the woman he loves. This time, everything’s much more simple. Plonk in front of what’s made out to look like a webcam, surround yourself with a few mates dressed in gorilla masks and do all sorts of interesting things for the duration of the clip. 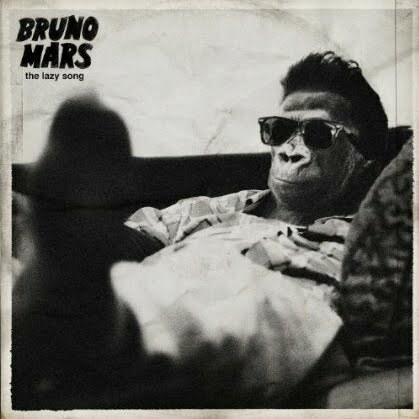 Bruno proves he’s got some pretty decent moves, he uses a swivel chair to maximum effect, drops his pants and deploys his confetti cannon (but not in that order). We’re not massive fans of the ‘The Lazy Song’ itself – ‘Grenade’ is still stunning after many months – but its clip certainly leaves us wanting more.